Commedia dell''arte was an early form of professional theatre originating from Italy and was quite popular in Europe from the Renaissance through the 18th century. 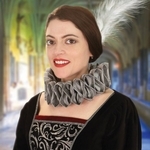 Our lovely gown encapsulates all of the beauty and splendor of these lavish productions. 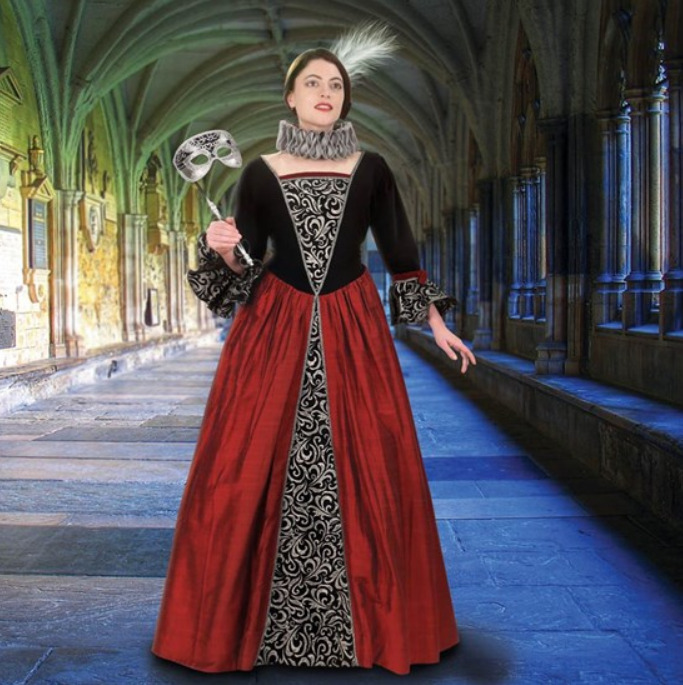 Made from dark red taffeta and black velvet, our rich, full dress has a silver and black velvet arabesque print stomacher, which is also used as a center insert on the skirt, as well as the circular sleeve flounces. 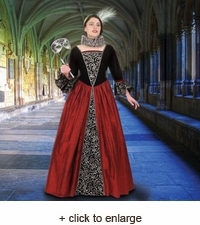 A dark silver trim outlines the accents on the dress, along with dark red velvet. The dress has lace-up back with a 5” modesty panel, along with a rear sash which can be used to cinch the waistline giving adjustability to the garment. 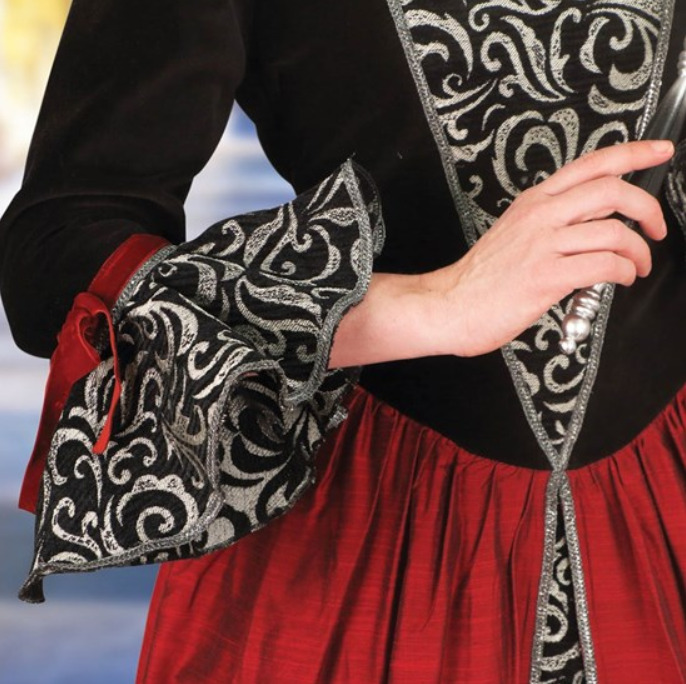 The skirt measures a full 46” from waist to floor, which can allow for our farthingale too. 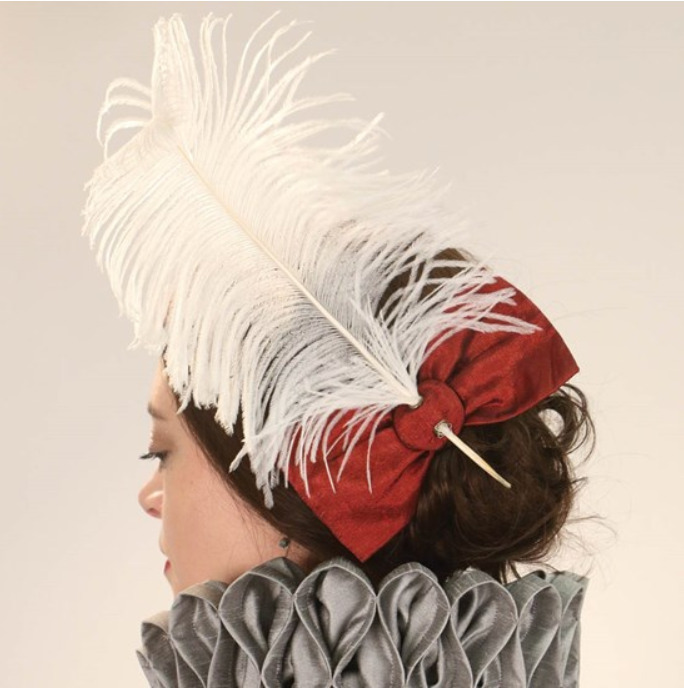 Comes with a matching 6” red taffeta hair bow, which accepts a feather plume.